This week on the big show, Channing Tatum. The man responsible for Scalzo's 'Tatum Line' is back. And this time he's got Jamie Foxx with him. 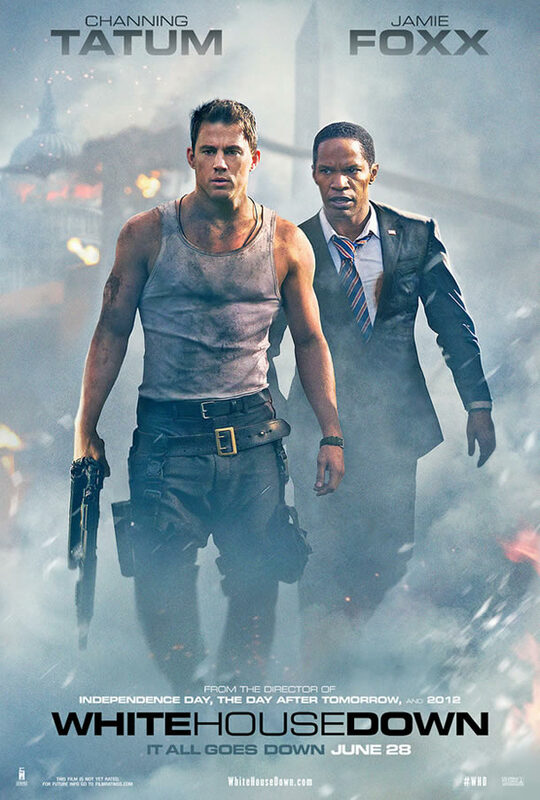 It's the latest DC's in trouble movie, 'White House Down'. Can we survive yet another cinematic attack on our nation's capitol? And where's John McClane when we need him? Oh, that's right. In Russia… We also review the big releases on Blu-Ray & DVD, featuring Dave's Streaming Pick Of The Week. Then it's our Top 5 Buddy Action (Cop) Films. And no, 'Stop Or My Mother Will Shoot' didn't make the cut.